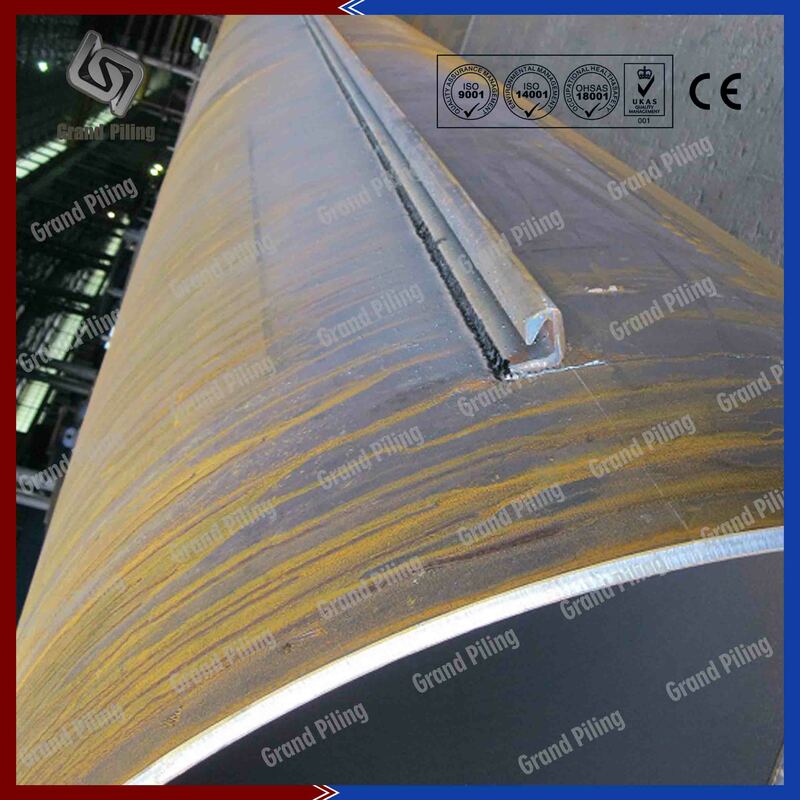 There are 2 kinds of corner piles, cold rolled corner piles and hot rolled corner piles. It is estimate that every year, the total needs of clutch bars on earth is around 5000 tons. Although the total number are not so much, clutch bars do play an important roll in steel piling industry. 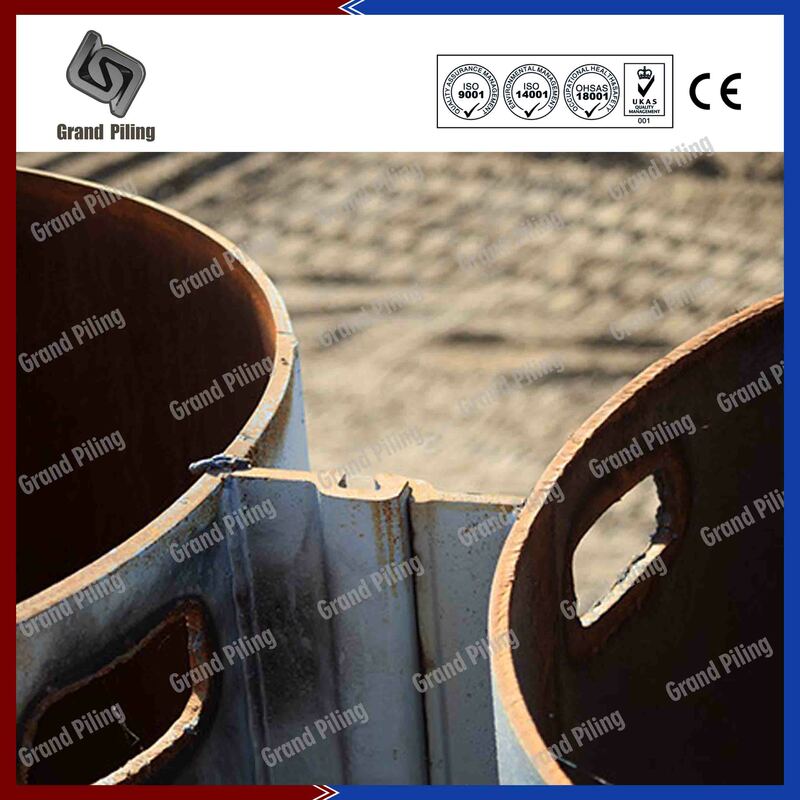 Normally sheet pile connectors are same steel grade as sheet piling and steel pipes, mostly S355GP steel grade. Extremely little interlock friction is guaranteed by the high precision manufacturing of the profiles and enables the corner joints to be used several times.We have C9, C14, E21, E22 hot rolled clutch bars and also cold rolled interlocks. Sheet pile corner sections are also called clutch bars, interlocks, corner piles or connectors, which are rolled from steel materials to connect sheet piles.We can produce all types of hot rolled and cold formed or rolled corner sections, clutch bars, interlocks, corner piles and connectors. Corner sections must have same interlock as the sheet piles’, otherwise they can not connect each other. Corner piles can connect sheet pile to pipes and H beams , sheet pile to sheet pile, or steel pipes to steel pipes.There are 2 kinds of corner piles, cold rolled corner piles and hot rolled corner piles.It is estimate that every year, the total needs of clutch bars on earth is around 5000 tons.Although the total number are not so much, clutch bars do play an important roll in steel piling industry.Normally sheet pile connectors are same steel grade as sheet piling and steel pipes, mostly S355GP steel grade. Extremely little interlock friction is guaranteed by the high precision manufacturing of the profiles and enables the corner joints to be used several times. We have C9, C14, E21, E22 hot rolled clutch bars and also cold rolled interlocks. Hot rolled clutch bars are used to connect larssen and AZ or Hoesch sheet piles, including PU, AU, Japan type II, III, IV, IIW, IIIW, IVW etc sizes. There are several commonly used sizes: C9, C14, C6, Delta 13, Omega 18 corner sections. 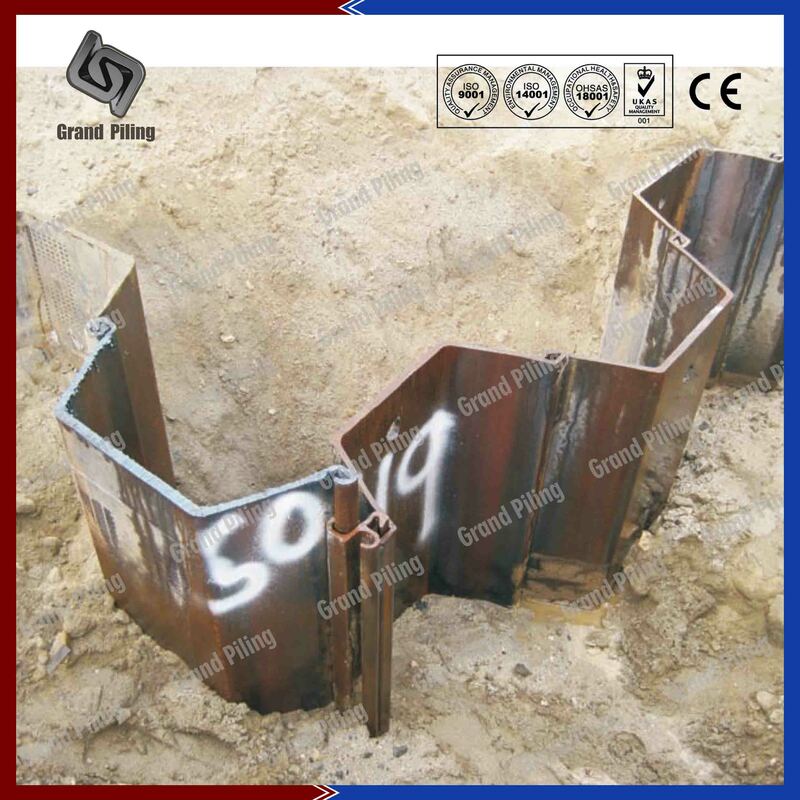 There are also other names for these special profiles and junctions: E20, E21, E22 and omega sizes.C9 or E22 types are most widely used and can be used to connect sheet piling and steel pipes. Cold form corner sections are used to connect cold formed sheet piles.As the main manufacturer in this fields, we can produce interlocks to any degrees. We have our own solutions and junctions for C9 or E22 interlocks and connectors.There are also some connectors, like ANY-Z, CF90, CF Tee etc. Sheet pile connects are threaded into sheet piling interlocks before driving into ground.Contractors need to adjust the connector to appropriate position.Then weld corner piles onto sheet piling. (Track or spot weld is okay. 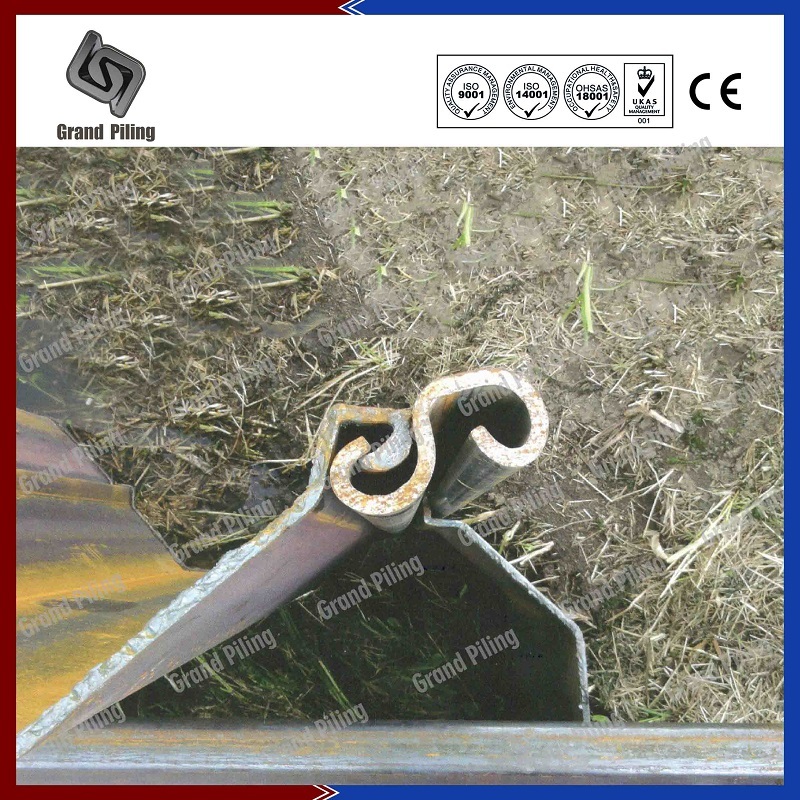 Typically a 250mm long weld attaching the connector to the sheet pile top is enough). Then drive or extract the sheet piles as you normally do.